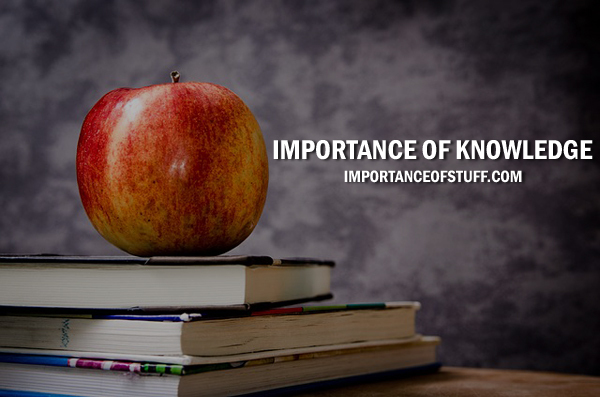 Knowledge is considered as the state of knowing facts and information acquired with the help of experience and reading books. Evolution of civilization over the years is due to increase in the knowledge base of the humans. A fascinating fact about knowledge is that in spite of being shared with others, it increases. Progress in modern science is only possible by developing rational thinking through the use of knowledge assimilated over the centuries. Knowledge is the key to removing the darkness of ignorance. It is based on reason and logic, however, a child acquires understanding about the surroundings by hearing and listening. Due to the guiding light of knowledge, the world ushered in the industrial age resulting in series of inventions that changed the face of humanity forever. Modern knowledge can only be acquired through education as it plays a very important role in enhancing the professional life of the individuals. People working in different spheres of the economy should have required skills sets to do justice to their job profiles. It is only possible by the acquisition of knowledge through hands-on experience. Using knowledge to get success in accounting, engineering, medical and administration field transforms the lives of people as they contribute not only towards their own development but also the economy of the nation. An individual with required domain knowledge is confident as compared to the people who have none. It is easier for a person to initiate conversation if he or she is knowledgeable. Moreover, understanding of different facets of life can improve decision making. For instance, if you are well versed with the movement of the stock markets, it would be easier to make profitable investments. With the enhanced level of knowledge, people have many more option in professional and personal lives. It allows the freedom to express the thoughts and be aware of the rights and duties as a citizen. A knowledgeable man would not bear bad behavior from any person and does whatever makes him or her happy. Unlike the physical entities, the knowledge never diminishes. It builds on the existing information base. Your car might break down or money could blow up due to hyperinflation but the understanding of mind remains intact and increases with enhanced social interaction. Knowledge-based industry belonging to the service sector is a combination of the technology along with human knowledge. It has increased the Gross domestic production of many countries and honed the skill of the professionals. Market research is primarily a part of the industry and helps the companies to evaluate the business profitability of the venture before it is launched. A nation can have true democracy only if its citizens are knowledgeable about the social and economic conditions. They would elect educated representatives who are capable of understanding and resolving their issues. Enhanced education and knowledge work in combination to provide better governance on a whole to the country. I totally agree with this article. Knowledge is really important for our society. We can see the difference between 1st world countries and 3rd world countries. It’s all because of lack of knowledge in these people, they populate too much, they don’t get their kids educated. they keep electing corrupt politicians and hence remains in the same stage. If they get the better knowledge of how world works, I’m sure they will progress as well.